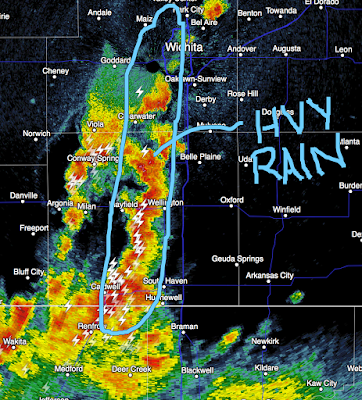 I'm starting to become concerned the storms are lining up and could cause heavy rain in the oval I've outlined. Given saturated ground, flash flooding may result. Keep an eye on this, please.